View the model front the front. Prepare to apply a set of mountain-folds to make the edge smooth. 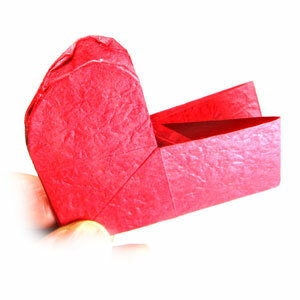 Apply a set of mountain-folds to smooth the edge. 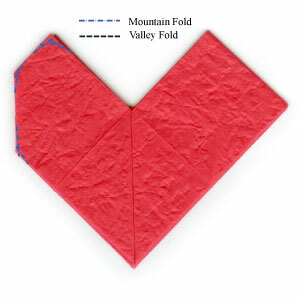 Apply a set of corresponding valley-folds to the back layer.